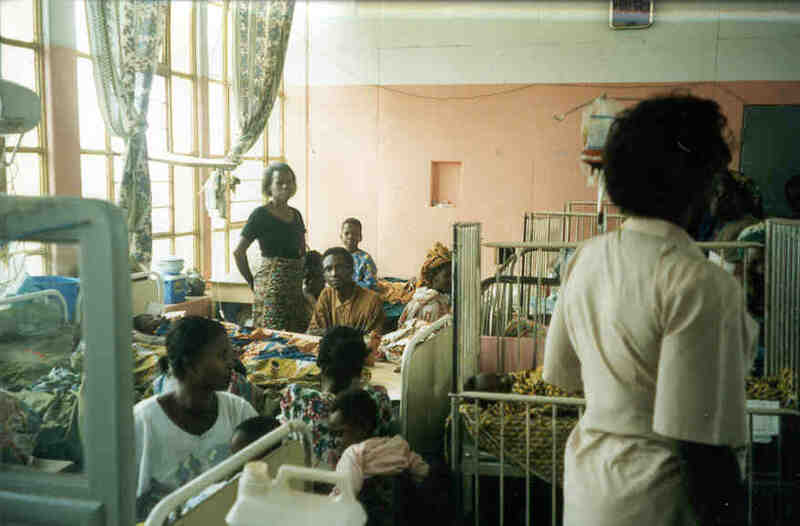 Emergency care is an essential component of health systems, particularly in low- and middle-income countries. We sought to assess the availability of resources to provide emergency care at a second-level hospital in Ghana. By doing so, deficits that could guide development of targeted intervention strategies to improve emergency care could be identified. Methods: A qualitative and quantitative assessment of capacity for care of emergency patients was performed at the Emergency Centre of the Police Hospital, a second-level hospital in Accra, Ghana. Direct inspection and job-specific survey of clinical, orderly, administrative and ambulance staff was performed. Responses to quantitative questions were described. Qualitative responses were examined by content analysis. Results: Assessment revealed marked deficiencies in many essential items and services. However, several successes were identified, such as laboratory capacity. Among the unavailable essential items, some were of low-cost, such as basic airway supplies, chest tubes and several emergency medications. Themes from staff responses when asked how to improve emergency care included: provide periodic training, increase bed numbers in the emergency unit, ensure availability of essential items and make personal protective equipment available for all staff caring for patients. Conclusion: This study identified opportunities to improve the care of patients with emergency conditions at the Police Hospital in Ghana. Low-cost improvements in training, organization and planning could improve item and service availability, such as: developing a continuing education curriculum for staff in all areas of the emergency centre; holding in-service training on existing protocols for triage and emergency care; adding checklists to guide appropriate triage and safe transfer of patients; and perform a root cause analysis of item non-availability to develop targeted interventions.